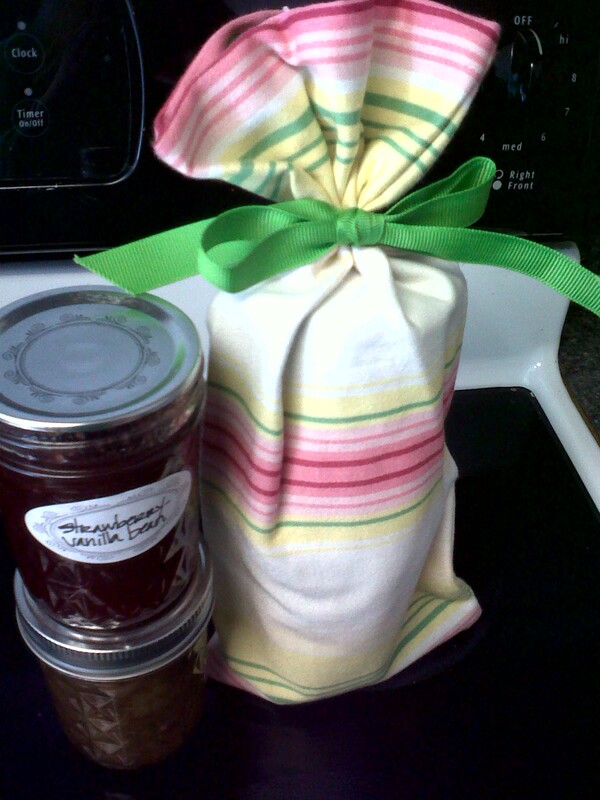 I frequently use my home canned preserves, salsa and extracts as hostess gifts. In the age of ready-made everything, I think the homemade touch is often appreciated. Even when very simple, such as jam and salsa. A few weeks ago I put together a fun little hostess gift and then a week later I did it again. 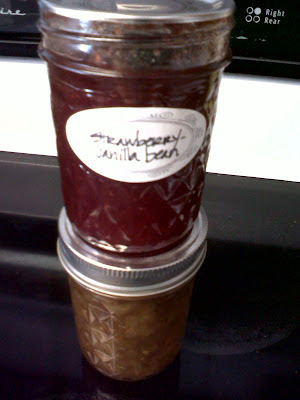 This one includes one jar of strawberry vanilla bean jam and one jar of green tomato jam. Simply stack them up, place in a fabric wine bag and tie with a ribbon. Easy peasy lemon squeezy! What are some of your favorite hostess gift ideas? I am always looking for new, creative little happies to share. Besides the expected wine and what I have listed above, I also like to give plants (small violet, tomatoes, whatever), honey, maple syrup, and even fancy peanut butters (which can also be homemade). It's all in the wrapping to be honest. A little grosgrain ribbon goes a long way! 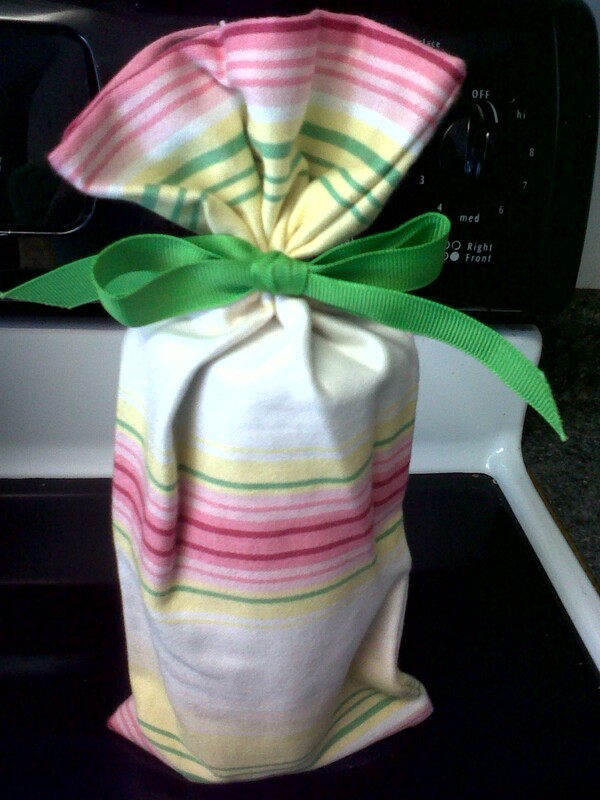 What a cute way to wrap up hostess gifts. I think any gift is good. So many friends no longer do it which is sad as that means it is a dying art. I believe my favorite hostess gifts are the occasional scrapbook from Shutterfly and the like. Homemade things are wonderfully thoughtful though!